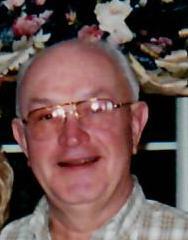 Petok, Alfred "Fred" W. 76 of Portage passed away June 26, 2018 at home. Born July 9, 1941 in Pittsburgh. The son of Alfred and Mary (Rokicky) Petok. Deceased family members include his parents, former wife and dear friend Mary Ann (Benik) Petok. Survived by daughters Andrea Petok (Hank) Gibson, Ravenna, OH and Deborah Petok Hufford, Sandusky, OH; grandchildren Tate Henry and DiAndra Lynn Gibson. Also survived by dear cousins who were like brothers to him; Francis (Karen) Bednarski, John (Renee) Bednarski and Neil (Darla) Rapski; and special nieces Carrie Steele and Christine Selepack. Also survived by several cousins and their families. Retired from General Electric Lighting Division after 39 years of service as a Distribution Manager. He was an avid hunter and fisherman and loved the outdoors. He especially loved spending time with his family and his daughters' canine companions. His family fondly referred to him as "The Dog Whisperer". Friends received from 4-8 p.m. Friday at the Serenko-Claar Funeral Home, PC, Portage. Funeral Mass will be celebrated 10 a.m. Saturday at Holy Family Parish, Caldwell Avenue, Portage. Father Thomas Stabile, TOR celebrant. Committal in St. Mary's Cemetery, Ravenna, Ohio. The family suggests memoral contributions be made to Fred's favorite charity St. Jude's Children's Hospital, PO Box 1000 Dept 142 Memphis, TN 38101-9908. Online condolences may be made at www.serenkoclaarfuneralhome.com.